I got “the author’s itch” again early this year. 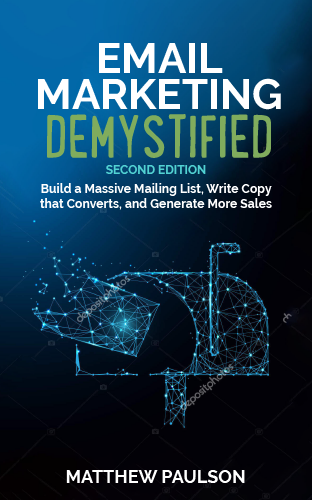 While it had only been a few months since Email Marketing Demystified came out, I knew that I wanted to write another book. I have something to communicate the world and would be disappointed in myself if I didn’t publish my third book this year. Since my wife and I are expecting our second child in May, I knew that I would have to write the first draft prior to the baby’s arrival if I wanted to get a book out in 2016. After listening to a particularly inspiring podcast on January 27th, I began writing my third book. My next book, titled The Ten-Year Turnaround, focuses on wealth building and financial freedom. However, this isn’t your typical run-of-the-mill Dave Ramsey or Suze Orman personal finance book. Most personal finance authors do a reasonably good job of teaching you how to setup a budget and get out of debt, they don’t teach you how to increase your income, how to build serious wealth and ad achieve financial freedom. The Ten-Year Turnaround is a life-changing financial plan that will enable you to completely turnaround your money problems and finally achieve financial freedom. In 2004, I was a broke and in debt college student that earned $7.00 an hour working at McDonalds. By using the wealth building strategies outlined in The Ten-Year Turnaround, I was able to build a series of online businesses and amass a personal net worth of more than $10 million by the time I was thirty years old. Whether you’re in debt or doing well, you can use the same strategies I used to build wealth and achieve financial freedom faster than you ever thought possible. Grow your income by becoming an expert salary negotiator, starting your own business or doing a side-hustle on nights and weekends. Unlock the power of life-long learning and personal networking in your life so that career and business opportunities show-up at your door. Become an expert money manager and avoid the most common mistakes that prevent people from building wealth. Learn proven wealth building techniques that allow anyone to grow their net worth, each and every month. Build a dead-simple investment portfolio that will provide a life-time stream of income. Reduce your taxes, prevent lawsuits and eliminate financial risk from your life. Become a world-class philanthropist and learn how to effectively give money to charity. I do not have a final release date for the book yet, but anticipate that the book will be ready between June and August depending on the availability of my publishing contractors. Like my other books, you’ll be able to get a paperback, e-book or audiobook copy. I do plan on publishing un-edited chapters of my book beginning next week as well so that you can get a flavor of the book. 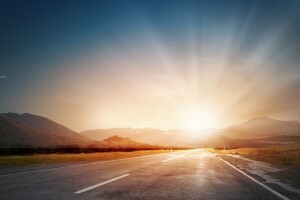 If you would like to receive updates about the book and get a free digital version of the book when it goes live this Summer, head on over to www.tenyearturnaround.com and fill out the sign-up form.